Data Shredder allows you to irreversibly erase your files or whole drives, so that there is no way for anyone to restore and misuse your data. 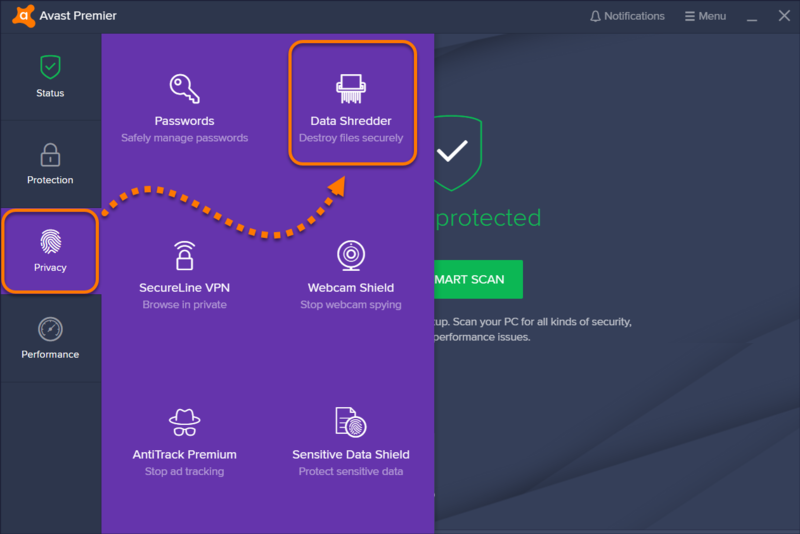 Data Shredder is available in Avast Ultimate and Avast Premier only. This option irreversibly erases individual files or entire folders from your hard drive. Once data is shredded, there is no way to recover it. Select the Privacy tile from the left menu, and select Data Shredder. Click the File Shredder button. 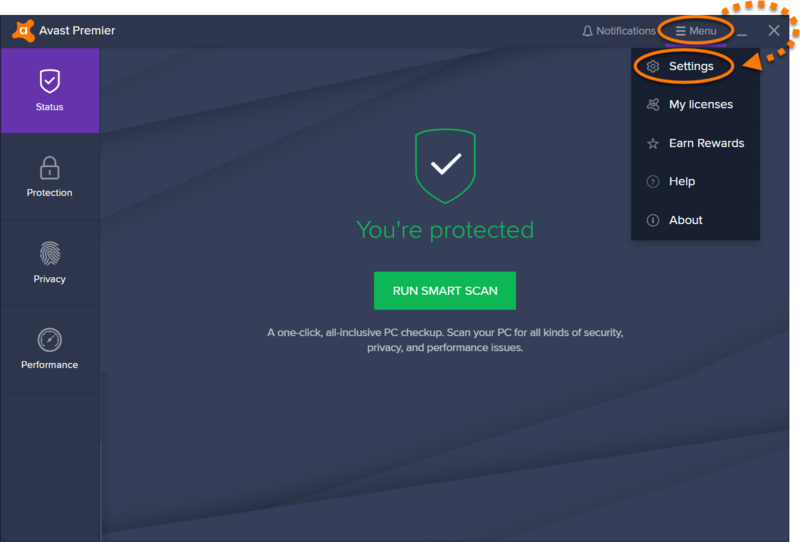 Tick the box next to the files you want to shred and click OK to confirm. You can select single files by expanding a folder, or select an entire folder. Click Yes, Continue to irreversibly shred the selected files. 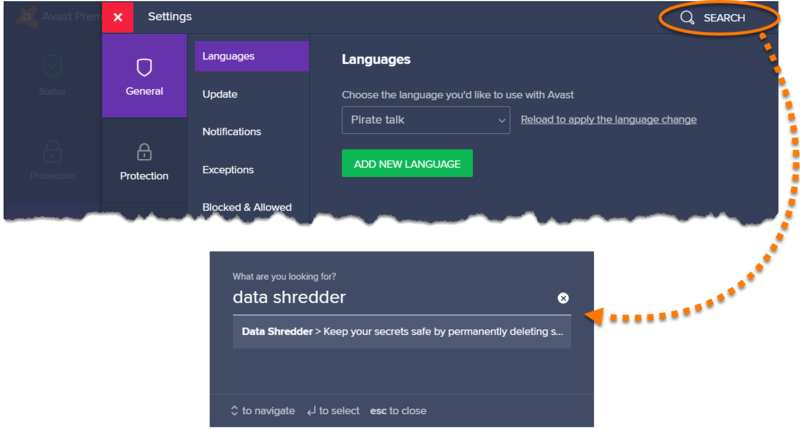 Optionally, shred an individual file or folder by right-clicking it in File Explorer or on your desktop and selecting the Shred using Avast option from the Windows context menu. This option irreversibly erases an entire drive and all data stored on it. Once data is shredded, there is no way to recover it. Click the Drive Shredder button. Click the panel for the drive you want to shred. Click Yes, Continue to irreversibly shred an entire drive. You must reformat the partition after shredding it to make it usable again. 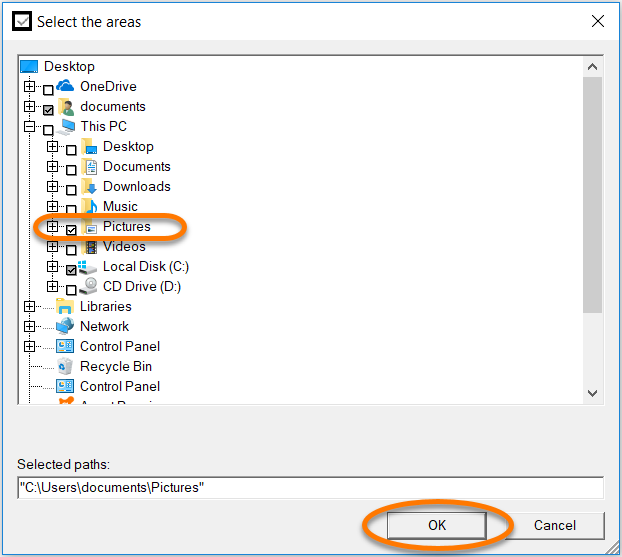 This option irreversibly erases the remains of previously deleted files. This is useful if you have already used a standard deletion method, such as manually deleting the files. Once data is shredded, there is no way to recover it. Click the Deleted Files Shredder button. Click the panel for the drive where your deleted files are located. Click Yes, Continue to irreversibly shred your deleted files. 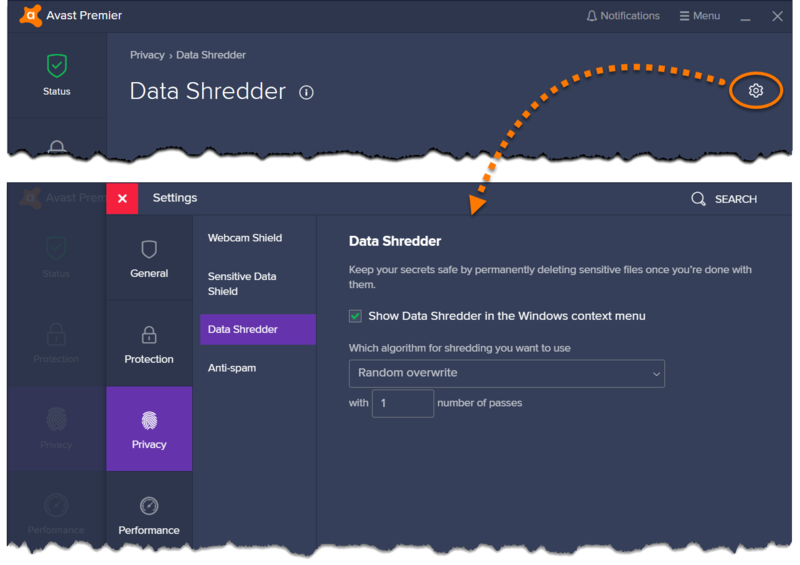 Data Shredder will encrypt your files after they're deleted, rendering them unreadable even if they're recovered. Manage the settings to configure Data Shredder sensitivity and accessibility on your desktop. Select Privacy ▸ Data Shredder. 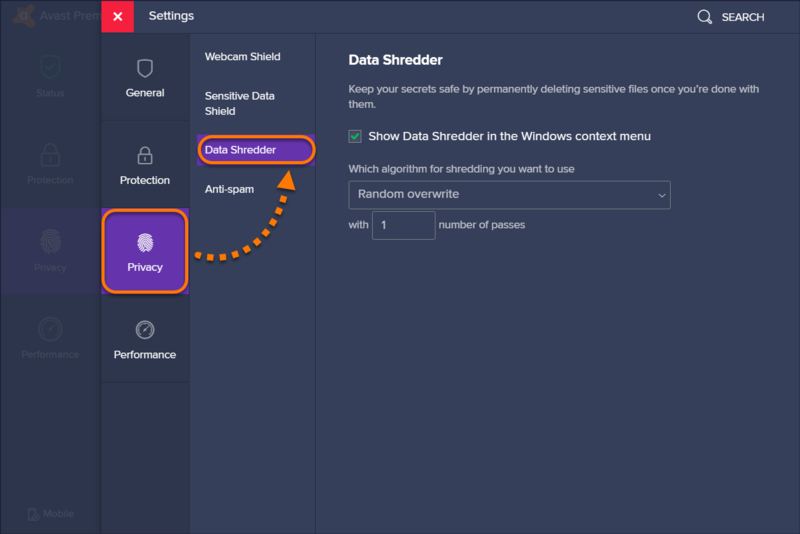 Show Data Shredder in the Windows context menu: ticking this option will include Data Shredder in the Windows context menu for convenient access to data shredder when you right-click a file or folder. Which algorithm for shredding you want to use: select the algorithm you want to use to encrpyt your deleted files when they are shredded. You can choose between Random overwrite (selected by default, and customizable number of passes), DOD (Department of Defense) 5250.22-M algorithm, or Gutmann algorithm. 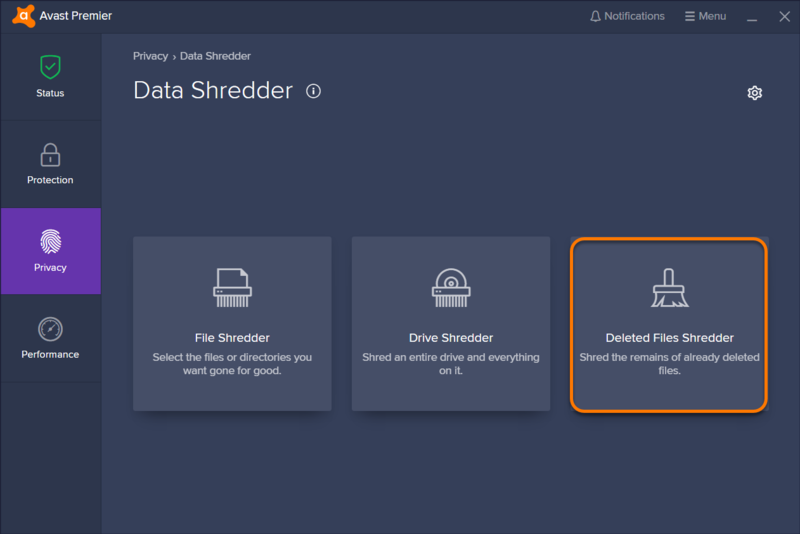 Click the gear icon in the top-right corner of the Data Shredder screen. Click Search, type Data Shredder into the search box, and select one of the search options. 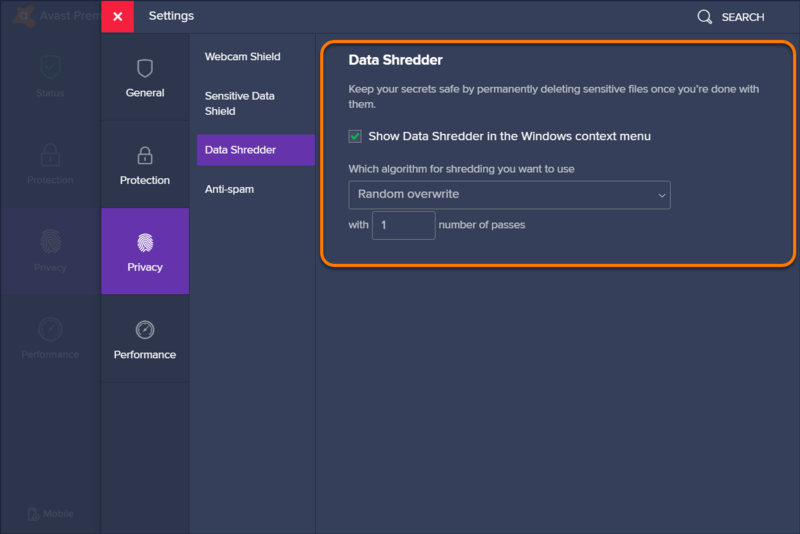 Show Data Shredder in the Windows context menu: ticking this option will add the Shred using Avast option to the Windows context menu when you right-click a file or folder in File Explorer or on your Desktop. Which algorithm for shredding you want to use: select the algorithm you want to use to encrpyt your deleted files when they are shredded. You can select Random overwrite and define the number of passes, DOD (Department of Defense) 5250.22-M algorithm, or Gutmann algorithm.